The acceleration of the interconnectivity of networks of all sorts brings to the front scene the issue of networks performance measure. Recently, one observed an accelerating course towards quantitative probabilistic models to describe and assess networks’ Connectivity, as being the main vector of performance. However, modelling realistic networks is still far from being satisfactorily achieved using quantitative probabilistic models. The paper is concerned with the application of perturbed semi-Markov (SM) processes in reliability problems. There are two kinds of perturbed SM processes presented in the paper. First of them was defined by Shpak and the second one was introduced by Pavlov and Ushakov. Shpak’s concept of perturbed SM is applied for calculating the approximate reliability function of many tasks operation process and Pavlov and Ushakov concept of that one is used to obtain the approximate reliability function of a repairable cold standby system with a switch. This paper presents the computer simulation technique related to the reliability of an object under variable operation conditions. The considered object operation process is modelled using semi-Markov processes and its reliability is analysed by application of the conditional reliability functions in its different operation states. 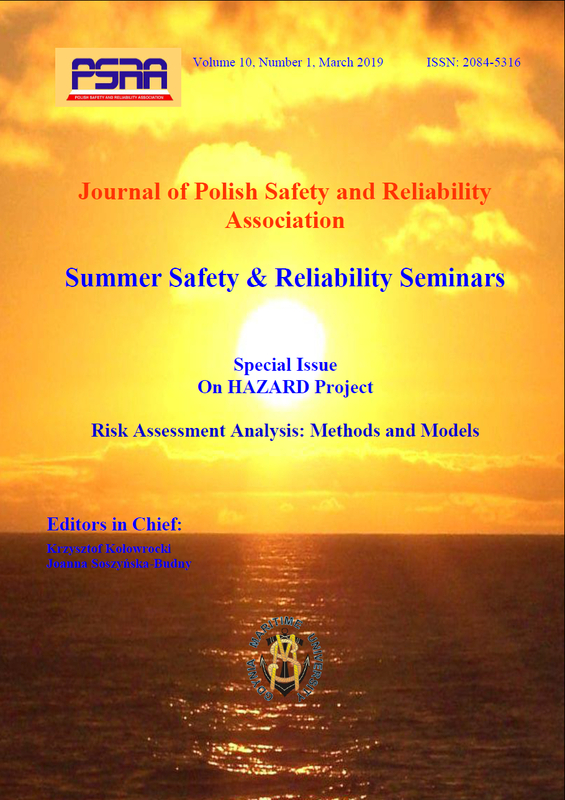 The backgrounds and procedures of the Monte Carlo simulation method application to an object at variable condition reliability analysis are proposed and applied to reliability evaluation of an exemplary object. Consequently, under arbitrarily assumed the parameters of this exemplary object operation process and its conditional reliability functions, using the proposed Monte Carlo simulation procedures, the transient probabilities of the exemplary object operation process at the particular operation states and its unconditional reliability function are determined. Further, the linear programming is introduced and proposed to reliability optimization of an object at variable operation conditions and the optimal transient probabilities of the exemplary object operation process at the particular operation states and its optimal unconditional reliability function are determined. Finally, some practical suggestions on the modification of the exemplary object operation process improving its reliability are proposed.